To ensure that the companies you work for (as full-time employees, consultants, or contractors) succeed, you must ensure that the work you do for them adds value to the company’s bottom line. This is what is known as “value added services.” Generally, this term is used by companies to justify their cost. In the real sense, however, if everyone on a project isn’t delivering more value than they are being paid, it becomes more difficult to have projects with positive ROIs. So how do Web developers add value to a Web site project when they are often seen as an expense for coding the site? One way is by coding their portion of the Web site in the most cost-efficient way and hoping that their piece of the Web site will create revenue or reduce costs in excess of what they’ve been paid. This is a limited view and, in the long run, will mostly create a break-even scenario. The easiest way to increase your added value is to do small things that have a large positive return for the company. If you’re looking to find something easy to do that has a large positive impact on your value, look no further than thinking about search engines and how your portion of a Web site can be optimized for them. Web developers all know and use search engines virtually everyday. Yet when it comes to preparing Web sites or the pages contained therein, they often either forget about coding in a way that makes pages friendly towards search engines or they leave this work to others. In some cases, Web developers may simply enter the most common header tags used by search engines, but they don’t go the extra step in entering the relevant data to ensure that the page gets the highest possible ranking. (The goal of many marketing departments is to ensure that the most important pages on a Web site get listed in the first 20 results—the first two pages—to ensure maximum click-through from the search engine.) So what can a Web developer do to help improve the ranking and make the marketing folks happy? Before looking at the technical details, you need to look at it from a marketing point of view first. Eight to ten years ago, most marketing departments really didn’t see the value in a Web site, let alone understand the potential of search engines. When it came to search engine ranking, they rarely pondered the magical methodology behind search engines and how the regular reshuffling of the search engine indices (i.e. the “search engine dance”) worked. Fast forward to the year 2003: over the past couple of years, with a decline of advertising as a way of generating traffic to Web sites, marketing departments around the world have woken up to the potential of search engines and eagerly await the latest “Google-dance” to see how their rankings have changed. They now attend large conferences (such as “Search Engine Marketing 2003” held in Boston this past March) where they hear from the likes of Barbara Coll (aka the Web Mama) and from representatives of all the search engines (Google, Overture, Inktomi, Lycos, etc.). During the various sessions at this conference, they were taught the basics of using meta tags, word density, the impact of information architecture on ranking, paid inclusion, paid per click, and other techniques to ensure top placement in major search engines. What follows are some of the techniques the marketing people have been busy learning about, and how, by incorporating them into the Web development cycle, you can increase your value-added service and perhaps prevent costly rework before the marketing department comes to the Web development team requesting these changes. Everyone should be familiar with these tags. These are the tags that appear in the “head” section of each HTML document. While the value of these tags does not appear on the generated Web page the user sees, they do play an important role in search engine rankings. There are three primary tags that are used to varying degrees by the various search engines. The most important of these is the “title” tag. Most HTML coding software automatically inserts this tag when you start generating code for a new page. The correct format for this tag is <title>Insert Title Here</title>. The title tag, from a functional perspective, is primarily used to display the page title in the title bar of the Web browser (usually the very top of the browser). It seems fairly basic, yet why are there so many Web pages out there that have the default value of “Untitled” still entered in the code? Virtually every search engine out there uses this tag for not only displaying in the search results, but also for ranking the Web page. In simple terms, if you thought it important enough to use those words as title, they must be important and deserve to be used in the ranking algorithm. A common mistake made by Web developers is what value to enter for the title tag. Many use the company name or the product brand name. This might be effective if your employer is a large multinational corporation and people are searching for your company (i.e. Nike) or your product (i.e. Coke) by name. For most companies, however, this isn’t a reality, and the value entered for the title tag needs to be more descriptive. For example, “running shoes, training shoes, and sneakers” or “soda, soda-pop, pop, and other favorite soft drinks.” By changing from the company/product name to a descriptive narrative, the Web developer helps increase the “key word density” of the Web page. To be truly effective, this narrative should also reflect the page content and not just a general description of the site. Before examining other ways to help improve a page’s ranking in the search engines, you need to clearly understand two terms already referenced in this column. The search engine algorithm is a complex mathematical formula used by the search engines which looks at key elements concerning a Web page (head tags, word density, word priority, links to the page and other factors) to rank any given Web page within the search results for a given query. What is important to understand is that every search engine has a unique algorithm and that these algorithms are constantly being reviewed and modified by the search engines to help prevent search engine spammers from getting listed and to ensure that the most important pages get ranked first. So a number one listing in Lycos doesn’t guarantee a number one listing in Google or any other search engine. All search engines, to one degree or another, apply a value to the word density. Essentially, this is the number of times a key word appears on the page or within the head code. The greater the frequency, the higher the word density and the higher the ranking within the search engine results. Unfortunately, just populating your Web page with key words spread throughout or having them appear in multitudes at the bottom of the page won’t guarantee a high ranking and may get your page dropped entirely from the search engine if the search engine thinks you’re spamming it. Also keep in mind that search engines generally give greater importance to words that appear towards the top of the page and to ones contained in head tags. Additionally, when laying out the information on the Web page, be sure to use ‹H1›and ‹H2› tags instead of font tags to highlight sub-heads. 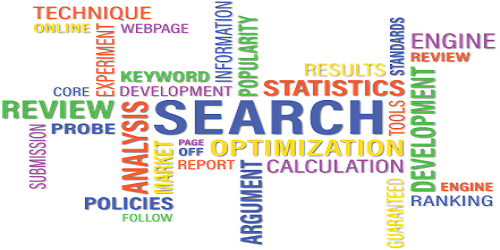 Most search engines apply greater value to words contained within these tags in their ranking algorithm. If you don’t like the way the default HTML header tags look, use CSS to style them. By incorporating these small extra steps in the development cycle, a Web developer can increase the value of the work they do and help ensure a better ranking within the major search engines. A word of caution:, before you start deciding what key words are most important on a Web page, talk to the marketing folks. It’s only by working together that true search engine optimization can be achieved. Alan K’necht operates K’nechtology Inc., a search engine optimization and marketing and web development company. He is also a freelance writer, project manager, and accomplished speaker at conferences throughout the world. When he’s not busy working, he can be found chasing his small children or trying to catch some wind while windsurfing or ice/snow sailing.